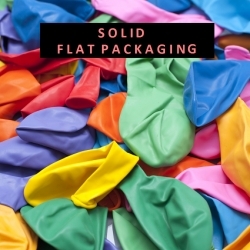 Balloons Guru is a Singapore based company that specializes in supplying balloons, decors and party/event supplies for any occasions: birthdays, proposals, weddings, baby showers and many more. We provide a wide variety of products and services that is sure to cater to your every need. We have pearlized and solid coloured latex balloons, alphabets and number foil balloons, pet walkers, air walkers, balloons bouquets, balloon archs, flower pom-poms, paper fans, flower petals, garlands and various food decors. We even offer packages that include printing services such as customized balloon printings, invitation cards printings and photo cards printing. Balloon is happiness and Balloons Guru strives to bring that happiness to you for every occasion. Copyright © 2016 Balloons Guru. Brand managed by eZvent. All rights reserved.